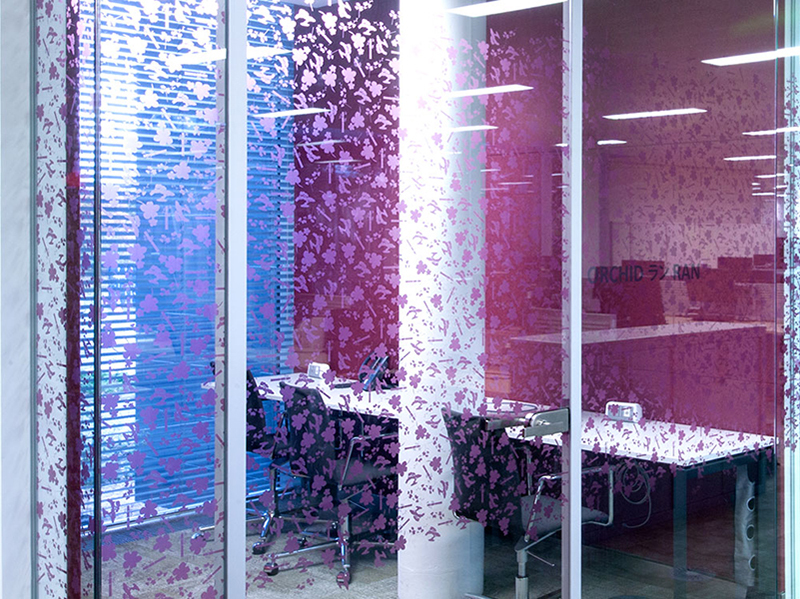 Ideal for corporate branding, privacy, decoration, manifestation and safety, our architectural printable glazing films make the design appear part of the glass, to stunning effect. Bring brighter colour, higher definition and incredible detail to displays. Explore clarity and translucency with subtle vignettes for privacy graphics and create dazzling visual effects as light passes through the printed image. Printing white and metallic ink with process colour can add further depth and solidity to the imagery. A high specification self-adhesive coating means the films are as temporary or as permanent as you need them to be. Easy to install in situ, they are also quick and clean to remove. These films use a unique topcoating chemistry designed for printing with UV-based inks and offer various options for flat glass applications. These options include printable hard coated surfaces for excellent ink-adhesion combined with superior scratch resistance of non-printed areas. The films provide 99% UV screening protection, making them ideal for outward facing glass facades as the films protect both the interior space and the printed inks. A unique non-PVC film surface with a high coatweight topcoating that absorbs eco-solvent inks, delivering superior optical clarity and dimensional stability compared to conventional PVC alternatives. Suitable for glazing decoration, manifestation and enhancement, they can be overlaminated with a clear scratch resistant film to increase the durability and impact of the graphic.